The Blackfriary excavations have been running since 2010 and were begun with the aim of exploring the role of the Dominican friary in the later medieval period in Trim. As the friary was quarried out in the 18th century we are following the footprint and remains of the monastic buildings as well as the friary graveyard and gardens. 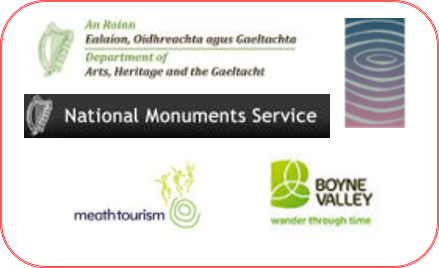 The site is a National Monument, but prior to the commencement of the project was long neglected, due in part to the lack of resources available to the local authority to develop the site as a heritage resource. A series of excavations associated with the Trim Street Regeneration Project (TSRP) were undertaken in the late 2000s by CRDS Ltd in which Finola O’Carroll was then an owner/director. 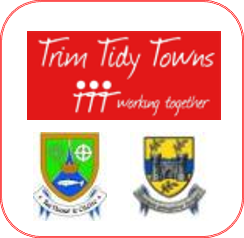 She was involved in an oversight role with this project which included the upgrading of services (buried cables and pipes) throughout most of the streets of Trim and necessitated archaeological excavation or monitoring in every street affected. The results of the archaeological excavation demonstrated that the town of Trim has retained much of its medieval street pattern, and that medieval features survive below the current ground level. The site of the Athboy Gate was excavated as part of this scheme; this gate, in the north-east corner of the medieval town wall was also known as the Black Gate, due to its location beside the Black or Dominican Friary. Further work at the nearby lane behind and parallel to the Kells Road, and bordering on the Black Friary site, (Railway Lane) located the friary cemetery. 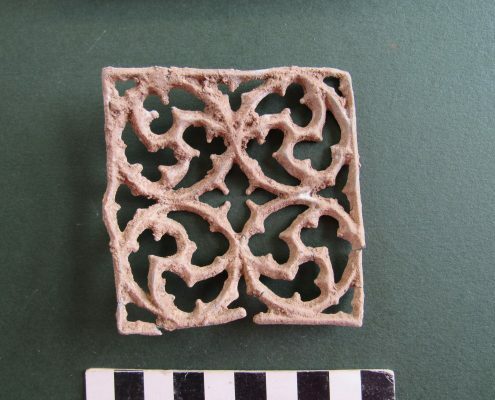 The results of this work were presented in a conference Uncovering Medieval Trim, together with work carried out by other archaeological consultancies in the town, and subsequently published in a book by the same name (Potterton & Seaver 2009; ISBN: 978-1-84682-169-1). In 1988 a geophysical survey was carried out by Professor William Kennedy of Florida Atlantic University, on behalf of the then Office of Public Works, Ireland. The results suggested a layout for the friary buildings, as they survive, to the north of the medieval town wall. The team from Florida originally planned further work in the field but due to logistical reasons this never took place. As noted above archaeological excavation carried out as part of the TSRP (under Ministerial Consent no. 150) uncovered burials in the adjacent Railway Lane (Seaver and Kelly, 2009). This has helped to establish the position of the burial ground associated with the Blackfriary. Monitoring of drain-laying on the laneway demonstrated that this cemetery did not extend to the west and northwest of the footprint of the friary buildings. The burial ground was located to the southwest of the friary buildings, and must have extended as far as the town wall at the back of what is now a Supervalu supermarket. Its eastern extent is unknown. The presence in this area of settlement-related features, such as a well, suggests that burial may have expanded into this area due to pressure for space. Since 2010 archaeological excavations at the Black Friary have helped to clarify the outline of several of the friary buildings, investigate burials practices at the site examine medieval agricultural practices to the east of the friary buildings and locate the boundary between the friary and the town. A significant amount of the nave and south aisle of the church and belfry tower and a large portion of the cloister garth have now been exposed (Cuttings 1-5 and 8-10). Excavations have also been conducted on the other ranges of buildings, so in Cutting 7 the junction between the northern and western range of the domestic buildings has been found and excavated, and following this interior of the west side of the north range and part of the buildings extending north to a second court have been uncovered. A substantial part of the eastern range in was excavated from 2014 and is still ongoing in Cutting 6. In 2014 archaeological test investigations were completed to the east of the precinct boundary, revealing evidence of a medieval field system and a probable medieval enclosure. The cloister garth is large by Irish mendicant friary standards – indeed it is currently the largest known example. This, coupled with the evidence of the use of Purbeck marble, sourced in the Isle of Purbeck in Dorset, England, for the cloister arcade, mark out this site as being of very high status in its heyday. So far, the remains, not all complete, of over 120 individuals have also been excavated from the site, under the supervision of project bioarchaeologist (osteo-archaeologist) and Principal Investigator for this aspect of the excavations, Associate Professor Rachel Scott of DePaul University. The skeletal record from the site suggests the site was used as a medieval cemetery, but continued in use following the dissolution of Irish monasteries in the mid-16th century. During the latest period of burial, long after the buildings had been destroyed, the Black Friary became the final resting place for many who were excluded from burial in consecrated ground, particularly unbaptised children. Throughout the course of the excavations, thousands of archaeological artefacts have been recovered, dating primarily to the medieval and post-medieval periods. Among the most common finds are sherds of medieval pottery (such as locally manufactured 13th century ‘Trim Ware’), post-medieval pottery and building materials (including decorated plaster, stained glass, floor tiles, and numerous architectural fragments). Medieval and later coins, bone pins and metal artefacts of various type, including a small piece of chain mail, have also been retrieved. Amongst many significant finds the amounts of medieval stained glass which have been recovered, mostly concentrated in Cuttings 3, 6 and 7, stand out. In Cutting 6 several pieces still within their lead cames were found, an extremely rare occurrence in Ireland where no medieval glass still intact in windows survives. In fact, an area where the glass seems to have been smashed out of the lead and the lead re-cycled has been located in Cutting 7, where over a thousand pieces of glass were found mixed in with building rubble. We are also beginning to recover information relating to time when the friary was used as a farm, and finds from this period, the mid-16th century to the mid-18th are of considerable interest. Overall, the size of the friary and its evident wealth a demonstrated by the large quantities of stained glass and the evidence for the Purbeck marble cloister arcade bear witness to its importance and the wealth of its patrons.